dyeing butcher’s twine and spice sacks. – Reading My Tea Leaves – Slow, simple, sustainable living. dyeing butcher’s twine and spice sacks. 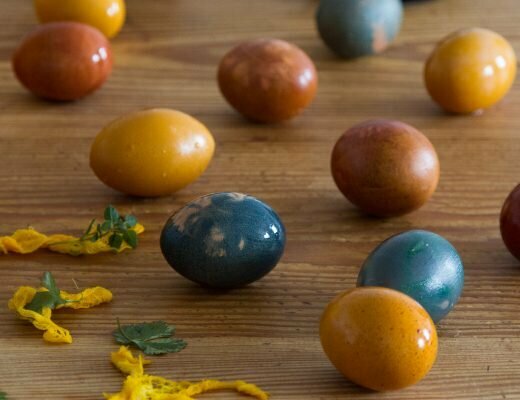 If you’ve gone to the trouble of dyeing a batch of Easter eggs, consider a very quick project to add a bit of springtime cheer to your Easter basket and to wring a bit more out of that natural dye you already made. 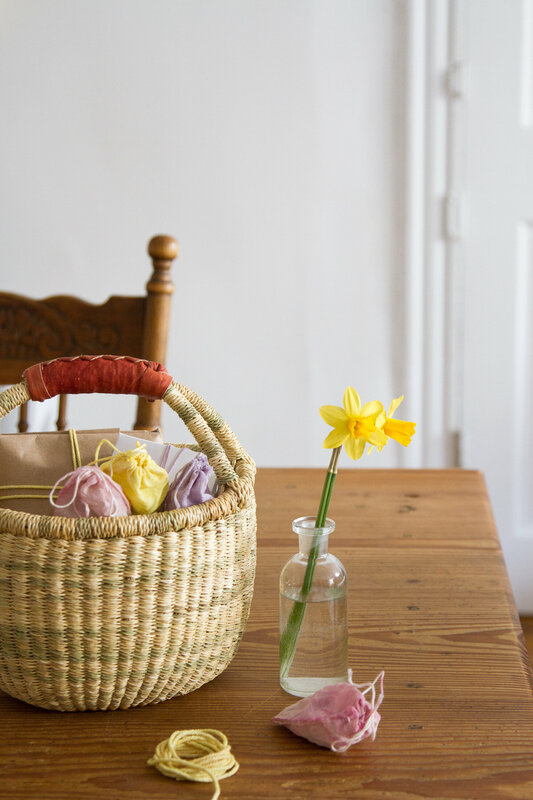 Pastel-colored twine and muslin spice sacks might feel like craftsy overkill until you realize that once you’ve already endeavored to dye eggs, this next step requires hardly any extra effort at all and gives you another festive addition for an Easter basket or other celebratory offering. In other words, we’d all be silly not to put that dye to good use. 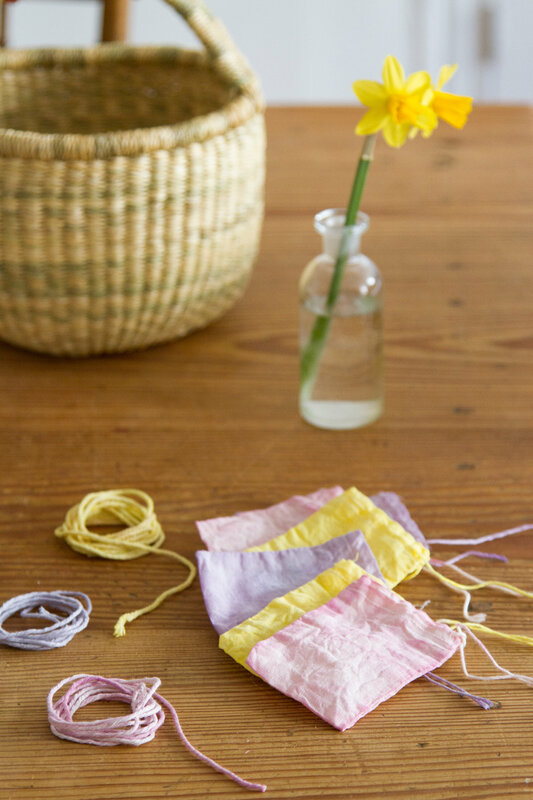 After fishing our eggs out of the mason jars where they took their dye bath, I plunked in a few small muslin spice bags and a few lengths of plain cotton string. The turmeric and beets worked their magic in well under an hour. The cabbage, I left to work overnight. When the cotton had reached the desired color, I wrung them out, rinsed them off, and set them to dry, which they did in no time at all. I filled the muslin pouches with vaguely egg-shaped treats from the bulk section of the grocery store: yogurt-covered raisins and chocolate-covered almonds, and something called toffee-covered pistachios which taste like chocolate, but who’s complaining? 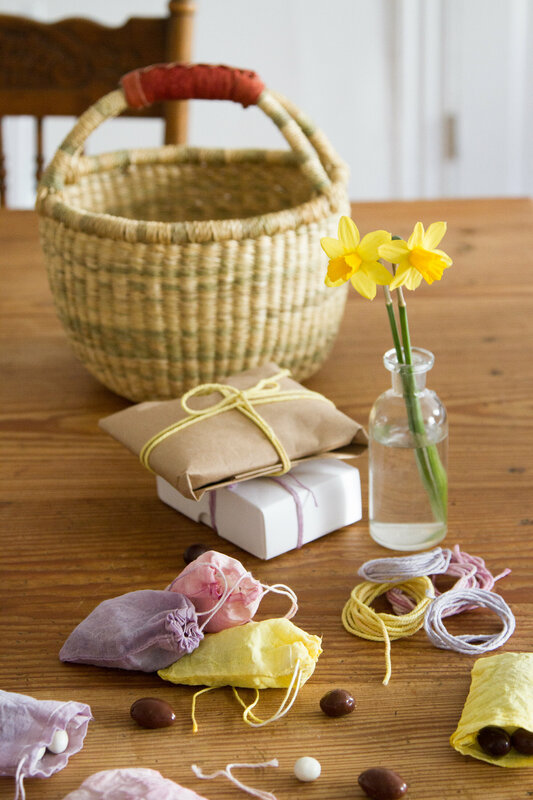 Brown paper parcels got a little extra festive with brightly-colored twine. 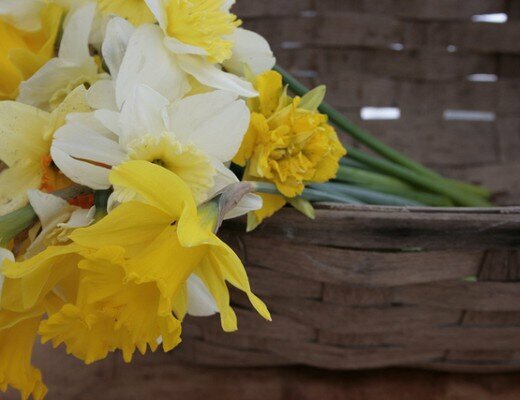 I finished off the basket by filling up the empty space with a small bottle of fresh daffs. Prettiest basket filler there ever was and I promise no one will miss the fake grass. 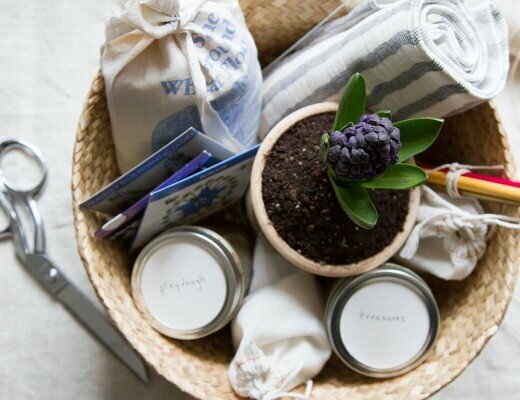 More clutter-free Easter basket ideas right this way. PS. 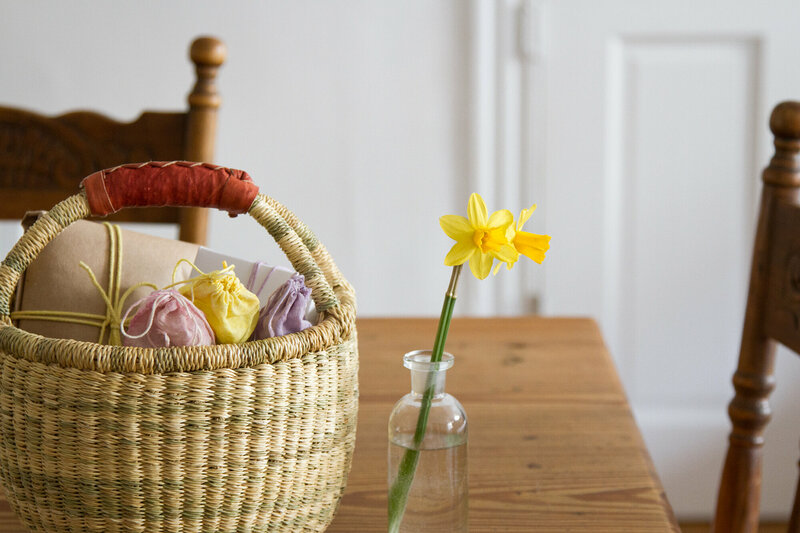 Before you plan on dunking your favorite pillowcases in with your beets or cabbage, know that while they produce potent colors for eggs, their colors tend to fade quite quickly on fabric. This method works great for quickie dyeing projects, but you’d want to experiment with other dye stuffs for longer-lasting color. 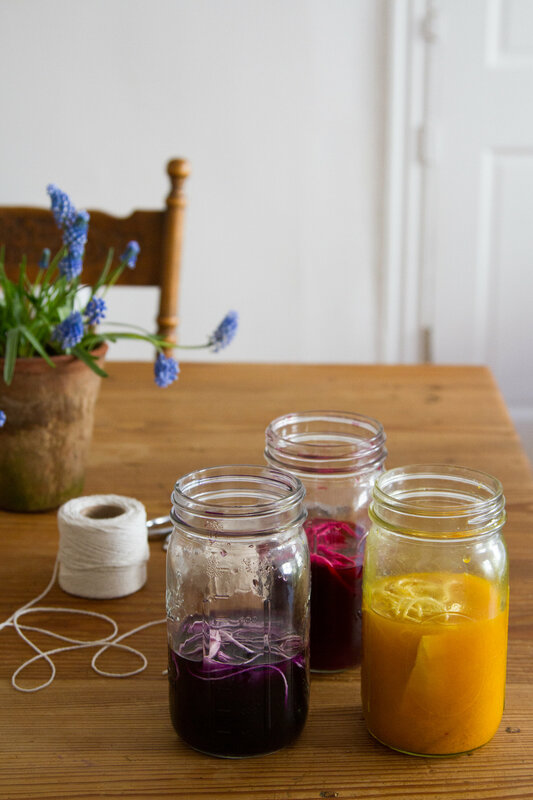 If you’re interested in natural dyeing, I still heartily recommend Rebecca Desnos’s e-book Botanical Colour At Your Fingertips. For the curious: Twine and spice sacks found locally at A Cook’s Companion. Mini bolga basket found at Acorn Toy Shop. freaking adorable, and accessible. thank you! Such a lovely idea! I love how much waste this nixes! 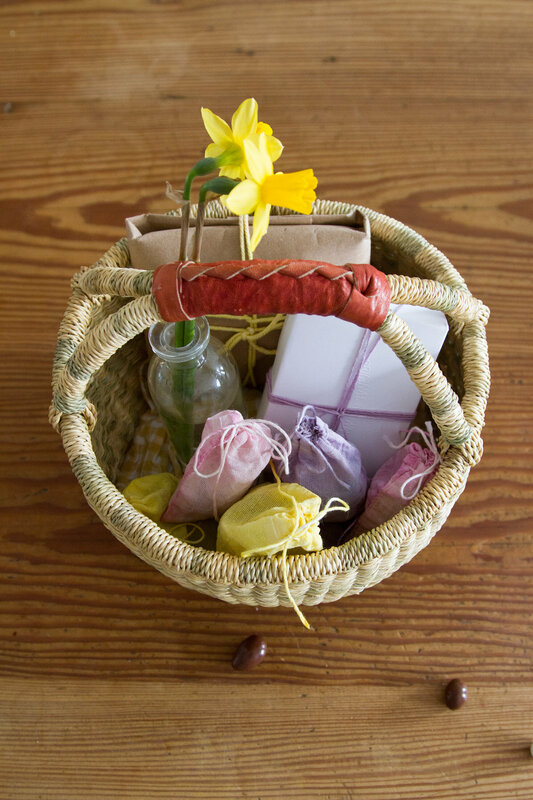 Prettiest Easter basket I’ve seen in a long time!